As they submit their donations, the thermometer will update in real-time. Guests will be able to visualize how their donations are helping your organization reach its goal. This can be a great motivator for donating, because contributions are made more tangible. Plus, guests have a time limit for submitting their donations, which really creates a sense of urgency! Auction scoreboards are another way to bring your auctions to the modern age. These features provide guests with real-time updates on the status of auction items, so they can keep an eye on bidding from anywhere. You can highlight popular sellers to create more urgency, or feature items that have yet to receive bids to encourage attendees to start off the bidding. Additionally, if you’re making a live donation appeal, you can see how bids are contributing to your overall fundraising goals. Being able to oversee the auction from anywhere heightens the spirit of friendly competition for your attendees, which often results in more bids. Think about it: as much as we hate to admit it, we’re all motivated by a little peer pressure. When your guests can see how sought after certain items are, they’ll want to win even more! 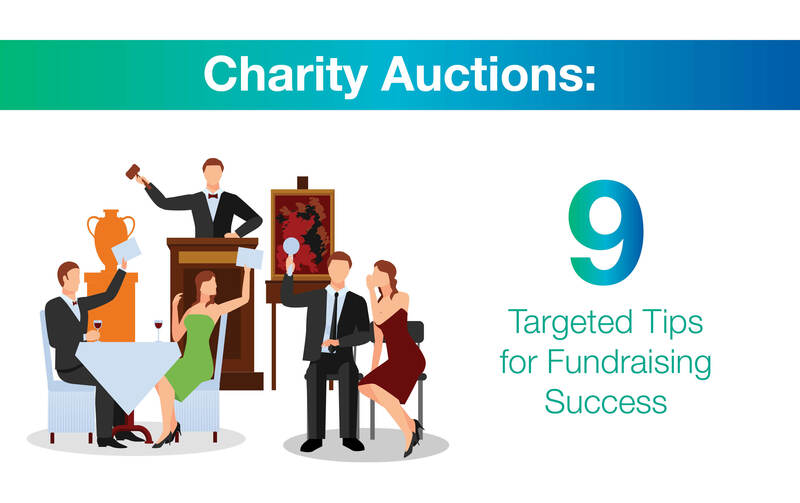 Check out OneCause’s article on how gamifying your auction can help you achieve the perfect donation appeal. Takeaway: Gamifying your auction can make donating more pressing, which is a great motivator for getting guests to give more! A Complete Guide to Prospect Research. Not matter what type of event you’re planning, it’s always a good idea to implement prospect research to find supporters that might be interested in attending your event. Get an in-depth understanding of prospect research. Top Online Giving Tools. Encouraging donors to give at events is a great way to raise additional funds for your cause. Our list of top giving tools will help you find the perfect way to accept donations at your event. Matching Gift Guide. Did you know that some companies will match donations like tickets to a fundraising event? Learn how you can promote matched giving at your charity auction.